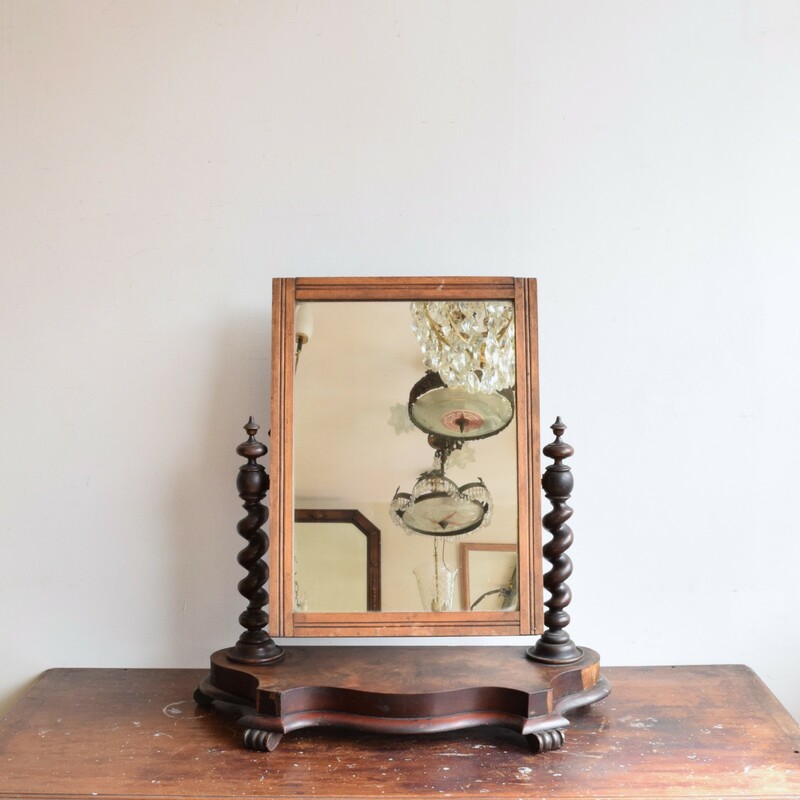 This barley twist table top mirror dates from the early 1900s. It is solid wood with a beautiful grain and elegant flowing form. There are some patches of damage as pictured but they don’t take away from the theatrical quality of this piece.